The kitchen is one of the focal points for any home. As a trade professional, it’s imperative that you have the right tools for the job when taking on a construction or remodel project to “wow” homeowner clients in Denver and beyond. That’s why ProSource® of Denver is here to help you achieve your goals. In our extensive showroom featuring wall-to-wall coverage of wholesale flooring and kitchen remodel projects, you’ll find exactly what you need to complete any individual or large-scale remodel job while saving time, money, and headaches. 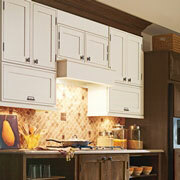 No kitchen remodel would be complete without a fully revamped cabinet set. At ProSource of Denver, trade professionals and contractors will discover options aplenty when it comes to solid wood kitchen cabinets that are free from particleboard and other cheap features that you get from the “Big Box” retailers. Your clients have the freedom to choose from many wood stains and door shapes to create the perfect cabinets. Our team works diligently to make sure all cabinets are measured and cut to precisely fit your space. Top off the best cabinets for a kitchen remodel project with the perfect accessory: cabinet hardware. It’s like the jewelry of the kitchen. 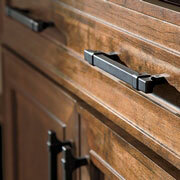 Cabinet hardware can range anywhere from traditional handles to extraordinarily detailed knobs and so much more. Tie together the project through the beautiful detail of the hardware. 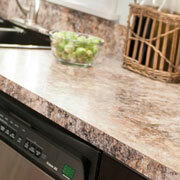 Granite and quartz are go-to countertop materials that trade pros and homeowners equally love. Of course, ProSource has these materials in stock in a variety of patterns and colors to match any décor style. We also carry other materials to suit every project. The possibilities are seemingly endless. 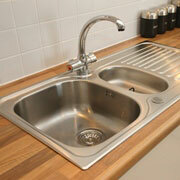 The sink is a fundamental element to a kitchen remodel project because it highlights both form and function. Trough-sinks are an up-and-coming style we have in stock, but we also carry the tried-and-true standard and apron-front styles. Browse our collection to find the sink with the right material, color, faucet configuration, and more for your project! The faucet is a great accessory to match to the kitchen sink. With our wide selection of kitchen faucets, you and your homeowner client can choose the right color style, function, and material for your sink. 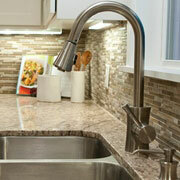 From fun beverage faucets to traditional sink faucets, there is a faucet for everyone. We proudly serve Denver, Aurora, Lakewood, Thornton, and Arvada, Colorado, as well as Douglas County. The ProSource of Denver showroom is conveniently located in Denver, Colorado and serves all of the neighboring cities including Agate, Allenspark, Arvada, Aurora, Bailey, Bennett, Berthoud, Black Hawk, Boulder, Breckenridge, Brighton, Broomfield, Buffalo Creek, Byers, Central City, Commerce City, Conifer, Dacono, Deer Trail, Denver, Dillon, Drake, Dumont, Dupont, Eastlake, Eaton, Eldorado Springs, Elizabeth, Empire, Erie, Estes Park, Evans, Evergreen, Firestone, Fort Collins, Fort Lupton, Fort Morgan, Fraser, Frederick, Frisco, Galeton, Genoa, Georgetown, Gilcrest, Gill, Glen Haven, Golden, Granby, Grand Lake, Grant, Greeley, Henderson, Hot Sulphur Springs, Hudson, Hygiene, Idaho Springs, Idledale, Indian Hills, Jamestown, Johnstown, Keenesburg, Kersey, Kiowa, Kittredge, La Salle, Lafayette, Limon, Littleton, Log Lane Village, Longmont, Louisville, Loveland, Lucerne, Lyons, Masonville, Mead, Milliken, Morrison, Nederland, Niwot, Orchard, Pine, Pinecliffe, Platteville, Roggen, Rollinsville, Severance, Shawnee, Silver Plume, Strasburg, Tabernash, Thornton, Timnath, Ward, Weldona, Westminster, Wheat Ridge, Wiggins, Windsor and Winter Park.